Legend has it, engagements can be tricky things — and marriage proposals even more so. 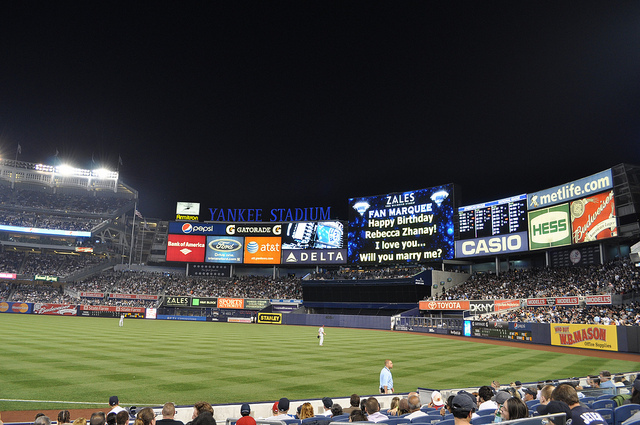 For some baseball fans and serious relationship participants, the scoreboard ‘Will you marry me?’ has emerged as a go-to option for anyone looking to pop the question in between runs. Because why not? As long as he or she says yes, right? Plus, all the proceeds from marriage proposals go to charity. That’s pretty cool. Unless you’re a fan of the Baltimore Orioles, the Kansas City Royals, the Los Angeles Angels, the New York Mets, or the Toronto Blue Jays. Those ball clubs don’t offer proposal messages at all. So, uh, find a road game if you’re rooting for one of those franchises (and if you’re a Mets or an Angels Fan, just head over to the crosstown ballpark). But how much is it going to cost? That’s a question that varies wildly from arena to arena, but Swimmingly.com put together a comprehensive post on not only how much it’ll cost, but what you’ll actually get when you put down your money. Aside from the first step towards an exciting civil union and/or holy matrimony, of course. Also, while many clubs offer a range of prices, we’re focusing on the highest end option — because if you’re spending big on the engagement ring, you should spend big on the proposal package. 10. Milwaukee Brewers and Arizona Diamondbacks – $250. 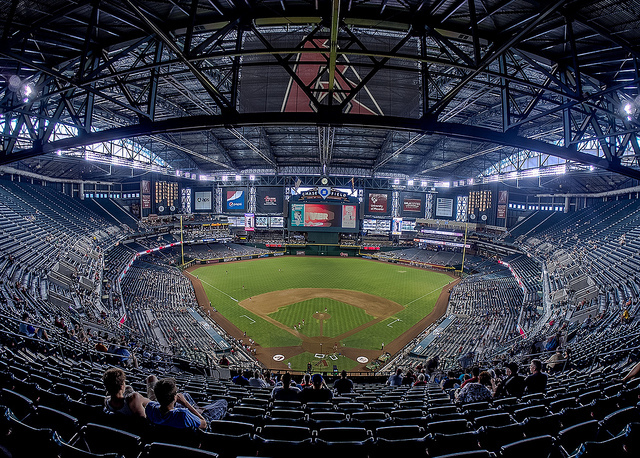 If you want to get your proposal out to your significant other at Miller Park (for the Brewers) or the Arizona Diamondbacks’ Chase Field (pictured above), it’s going to cost you $250. For the record, while this is the lowest we’re going on our list, that sum is more than six times what you’d pay for a proposal package from the Pittsburg Pirates. Just sayin’. If you’re a Brewers fan, you’ve got a couple options. For just $100, you can get a single-line message put up on the screen, while the $250 gets you a full scoreboard message. Essentially, you’re paying for thirty-five characters or seventy-five characters. Doesn’t sound like a big difference? Consider this: ‘I love you. Will you marry me?’ is thirty characters (with punctuation). Unless you’re proposing to someone with a Prince-esque character-for-a-name, you’re going to want to go with the seventy-five. 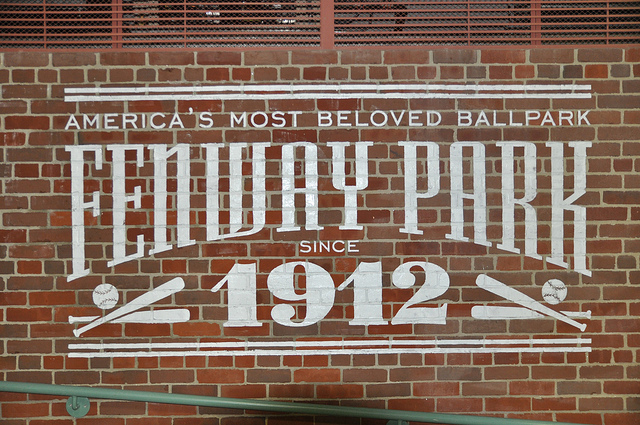 Despite having the most expensive average ticket prices in the MLB, the Boston Red Sox offer a relative bargain when it comes to getting a marriage proposal put up on the scoreboard. While a $250 donation to the Red Sox Foundation will get you the message plastered on the scoreboard, a $350 donation for a ‘Live Proposal’ will include a visit from Wally, the Red Sox mascot, as well as the couple being featured live on the stadium’s video monitor. This is where things begin to get interesting. 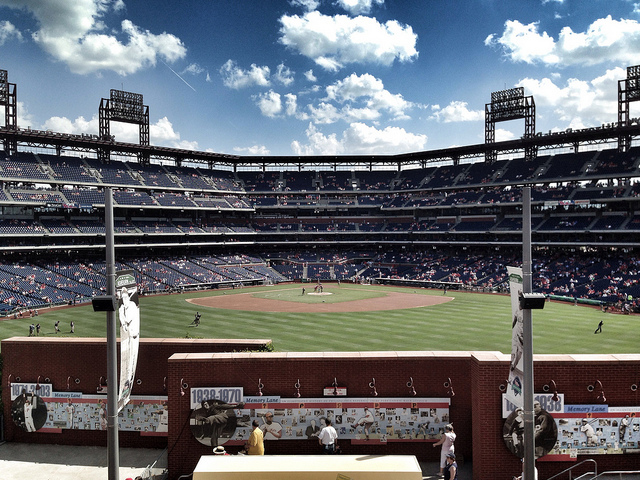 The Phillies offer a solid package for that $450, you get a live video feed of the proposal on the video board, four tickets to the game (a nice touch), a champagne toast, and a commemorative DVD of the occasion. Fingers crossed that he or she says yes, then. $500, it seems is the prime price point to getting married, at least if you’re a baseball team in Florida. Or Missouri. Or The Republic of Houston. First up, the two Florida Teams. Tampa Bay will give you a “marriage proposal package includes a live camera shot of you both, a dozen roses delivered to your seat by the Ray Team, and a DVD of the moment to share with friends and family (please allow two weeks for processing),” according to their literature. The Rays also only do one proposal a game, so the special moment won’t be shared with another couple. The Marlins offer a similar package, with a PA announcement and the roses being delivered by their mascot, who is, unsurprisingly, also a marlin. The Astros, who only offer one marriage proposal a series, do not offer any roses, but do give you a commemorative DVD and a pair of tickets to the game — which, curiously, seems like a given that many of these teams are overlooking. 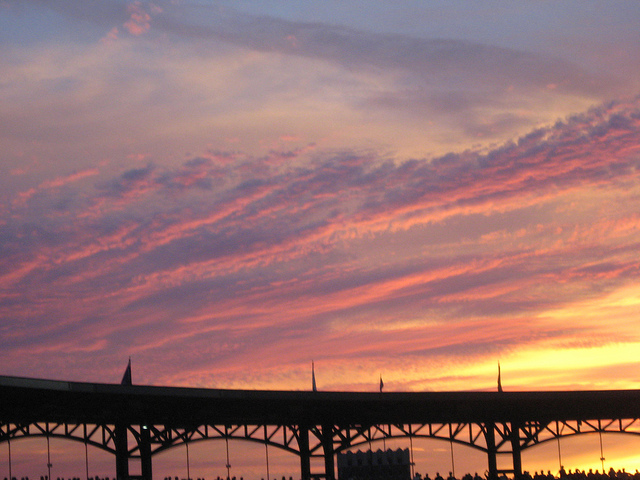 And, finally, for The Best Fans In Baseball, the home team goes above and beyond. For $500, the Cardinals will set you up with a private tour (with a group up to 20), that ends with a surprise proposal on the baseball field, as well as a scoreboard message (in case the proposal isn’t obvious, we suppose). Boom. In the words of Martin Lawrence in Bad Boys 2, “ish just got real.” Not only do the Nationals only offer two proposals on the video board a season, but it’s going to cost you a solid grand above that private Cardinals tour to do so. Why? Because reasons. If the budget alternative is more in line with the wallet, for a mere $500 the Nationals will put your proposal up on the scoreboard instead. They only do one of those per game, though. And if you’re really looking to spend some extra on a yes or no question, head to Dodgers Stadium, where you can pay a grand more than the Nats fan to get your proposal featured on the video board. Unlike their Washington cohorts, The Dodgers do one video proposal a month. And they’ll put a message on the scoreboard for you for only $75, so if you don’t care about the cameras, you can save $2,425 and still propose. The cameras are pretty cool, though. Also, if you want the complete list of proposal pricing and contact info, it’s right here.